In the last century it has been established that air pollution has a direct impact on health. It is responsible for both the severity and likelihood of flu. If you live in an area that is heavily polluted, the effects are felt on the respiratory tract as well as influenza. Elevated levels of air pollution increase the risk of influenza. This is due to the increase of pollutants such as PM10 particulates. These include emissions from natural and miscellaneous sources like fugitive dust from unpaved and paved roads, agricultural and forestry activities, wind erosion, wildfires and managed burning, diesel exhaust, nitric oxides, sulfur dioxide and ozone. When human beings inhale PM10 particles, they are exposed to diseases of breathing and respiratory systems, damage to lung tissue, cancer, and premature death. People with chronic lung disease, influenza or asthma are particularly vulnerable and so are the elderly and the children. Motor vehicle exhausts and chemical industrial processes. Incomplete combustion of organic materials (Carbon containing). Wood, coal, oil, gas. Outdoors: vehicle exhausts, heating appliances. Indoors: smoking, heaters (unvented). Reduces the oxygen-carrying capacity of the blood leading to headache, nausea, vomiting, eventually collapse and death. Outdoors: motor vehicle exhausts. Indoors: may be present in water pipes and/or old paint. Cumulative effects on the nervous system that may impair children's intelligence and concentration. Combustion of fossil fuels, road vehicles' power generation, industrial processes. Indoors: unvented gas cookers and other appliances. Throat and eye irritation (also involved in photochemical smog formation). Product of chemical reaction between other pollutants (Nitrogen Oxide and hydrocarbons in the presence of sunlight). Running eyes, throat irritation, breathing difficulties. Combustion processes and natural sources such as dust, diesel and smoke. Small particles can penetrate deep into the lungs and cannot be expelled. They may cause irritation and/or carry with them toxic or carcinogenic substances. Domestic and industrial burning of coal. 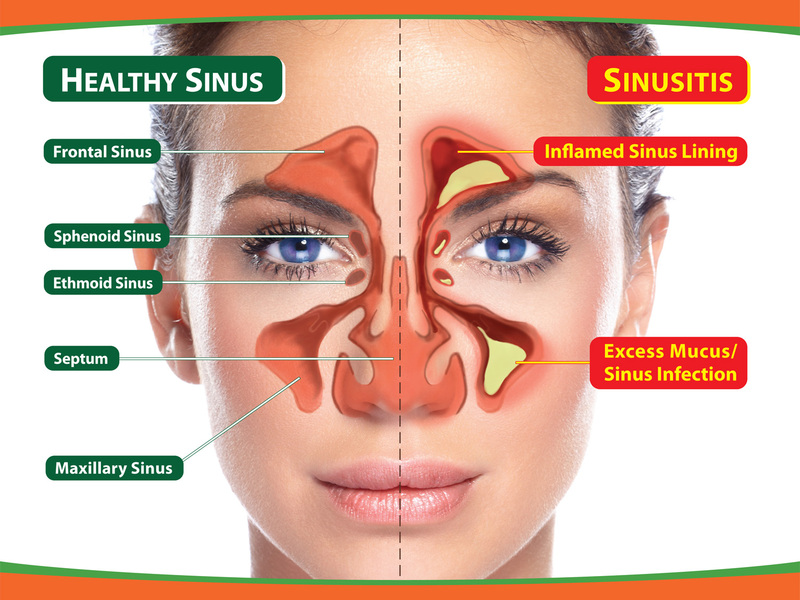 Irritation of the nerves in the nose, throat and airways. May also lead to constriction of the airways. Building material, wall cladding, insulation, brake linings. Exposure usually indoors during building work and car maintenance. Scarring of the lungs and increased risk of lung, chest and abdominal cancer. Paints, varnishes, glues and preservatives used in wood products. Foam insulation. Exposure indoors during decoration or construction. Breathing difficulties, eye and skin irritation, nausea and dizziness. Rocks which contain naturally occurring radioactive material emit Radon gas. Increased risk of lung cancer. Eye, throat and lung irritation. Increased liability to respiratory illness. Increased risk of lung cancer. Non-smokers breathing in others' smoke are also at risk. Pneumonia-like respiratory illnesses, allergic reactions. Flu is a serious disease, and can be fatal too if you suffer from diabetes, asthma, heart disease or even a weakened immune system. Follow the following steps in preventing flu. Get vaccinated – Get yourself vaccinated against flu every year. Take care of yourself – Eat a balanced diet. Exercise regularly. Try to get at least 7 to 9 hours of sleep at night. All this will give the body strength to fight diseases. Quit smoking – Smokers tend to react severely to flu germs. Not only that, evidence suggests that smokers tend to catch the flu more quickly than non smokers. Take medication – In the event that you do catch the dreaded flu, then it is important to take your medication regularly to prevent the symptoms from getting worse. - Wash your hands with warm water and soap every time you shake hands or touch a surface that might be germ-covered. - Carry an alcohol-based hand sanitizer with you for times when you can’t get to a sink. - Bring along disinfectant wipes to clean any surfaces you're about to touch. - Take extra care to not touch your mouth, eyes, or nose without washing your hands first. If you do catch the flu, you need to ensure that your family and work mates no not catch it off you. Follow the following regime till you get better. Stay home until you feel better and your fever has been gone for at least 24 hours. Let’s join hands to prevent and fight flu.